When Official Little Tikes contacted me to see if Sonny and I wanted to be a part of their latest Influencer Campaign ‘Tour de Trike’ I couldn’t say no! Sonny is a tad obsessed with the trikes at Nursery and gets so excited when he sees them, so I was delighted that they wanted to send him one. We were sent their 5-in-1 Deluxe Ride & Relax (Recliner) Trike (I know it sounds incredible doesn’t it! ), which can be used from 9 months to 5 years and grows with your child. It actually grew with us on our way around Kew Gardens! Originally we kept a lot of the mod-cons on it thinking Sonny was too young to remove them but as we went round the gardens he started asserting his independence showing us what he could do and so we adjusted it accordingly. I wish I had it sooner for when he was younger as he even napped in it, so its the perfect fun replacement for a pram that genuinely keeps them entertained. 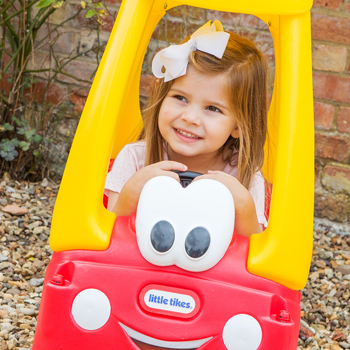 Read more about Sonny’s adventures or find out more about our Trikes range.